ATLANTA (AP) — Georgia Tech has put itself in a deep hole with two straight losses that could’ve gone the other way. Especially considering who’s up next. No. 3 Clemson visits Atlanta on Saturday, and the mighty Tigers are heavily favored to send the Yellow Jackets tumbling to their first 1-3 start since 2003. 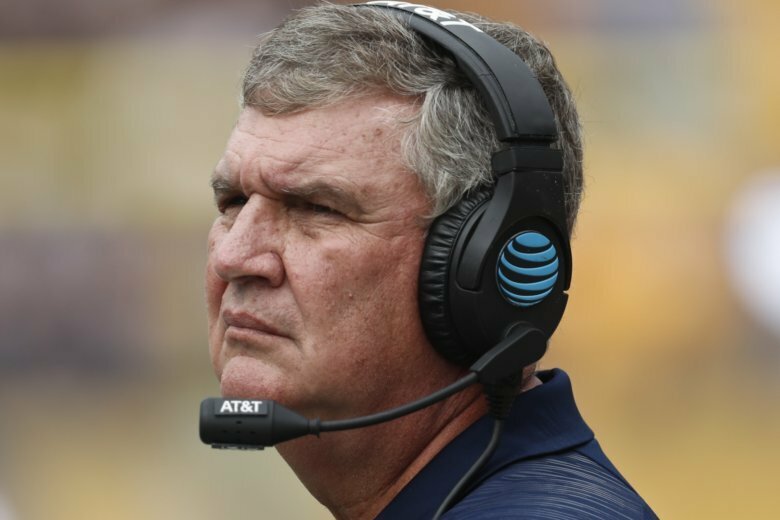 That would surely turn up the heat on coach Paul Johnson, who acknowledged that his team is in a precarious position after back-to-back defeats at South Florida and Pittsburgh. The Yellow Jackets (1-2, 0-1 Atlantic Coast Conference) certainly had their chances. At South Florida, they piled up 602 yards on offense and had a 10-point lead in the fourth quarter. But a crucial fumble ruined a potential game-clinching drive, allowing the Bulls to rally for a 49-38 victory . The loss at Pittsburgh followed a different script. Georgia Tech got off to a miserable start offensively, trailing 21-0 at halftime, but still had a chance to pull off the victory. Again, a crucial turnover in the fourth quarter ruined their hopes, only this time it was an interception caused by a miscommunication between quarterback TaQuon Marshall and his intended receiver. The Yellow Jackets drove 99 yards for a touchdown in the final minute that made it close, but Pitt recovered the onside kick and ran out the clock for a 24-19 victory . Johnson’s job might be in jeopardy if Georgia Tech doesn’t turn things around. Since an 11-win season and No. 8 final ranking in 2014, the Yellow Jackets are 18-21 overall and 9-16 in the ACC. The triple-option offense has always made Johnson a bit of a polarizing figure, and his long tenure — this is his 11th season on the Flats — has led some fans to grumble that it’s time for a change. Athletic director Todd Stansbury, who returned to his alma mater less than two years ago, has given his full support to Johnson but may reconsider that position if the Yellow Jackets have another disappointing season. The success of state rival Georgia — the Bulldogs are coming off a trip to the national championship game, and coach Kirby Smart appears to be building a program that will be a powerhouse for years to come — has only turned up the pressure on the Yellow Jackets. Certainly, Georgia Tech faces quite a challenge. The Tigers (3-0, 0-0) easily won the last three games in the series by a cumulative score of 93-41. They’re a 17-point favorite for this one — the biggest spread against a Georgia Tech team during the Johnson era. Linebacker Brant Mitchell shrugged off the point spread.